Fit is a little on the tight side, but that does stop it flapping and it is not so tight as to be restrictive, just a little more effort required to get on/off. It is good quality and have had absolutely no water getting in. Very good product. Great quality for price, didn't expect it to be as good as it is, pleasantly surprised, fits great and keeps me dry and warm. Would definitely recommended for price! 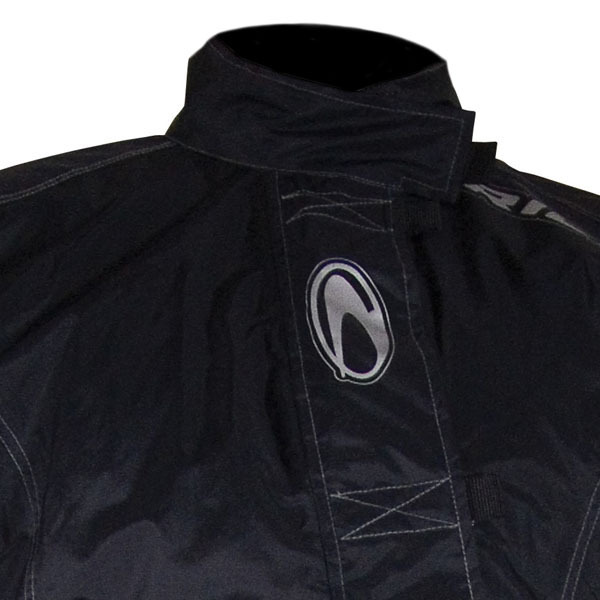 Ordered a small but needed a medium, exchanged quickly without fuss, fit is superb over leathers and will add warmth with lining so ideal in colder weather. Not used in rain yet but from other reviews expect to be reliable. Bought in sale aswell so a bargain, Nice! Nice suit, picked same size as my gear and this fits perfectly over the top. Bone dry in heavy rain! The material feels high quality and thicker than most budget suits. Does the job well. On the whole good, fitted ok, not hard to get on as had to put them on in the dark. They are fully waterproof. Feels like a good quality product but the stitching could have been better finished off, had to reinforce some seams in the lining that were coming apart. I ride an hour or more to work and needed a suit that would allow me to stay dry so I'm not damp all day. This suit does the job. My friend has the same suit and after 6 hours of Motorway in the rain he found a few wet areas on his clothing but that was 6 hours straight in heavy rain. I'd say that proves the suit worthy to buy. So far so good, I have worn it loads of times in the rain and I have been completely dry. I have also found it good in cold windy conditions. Have tried it on, very good Qaulity, not yet worn in the rain, it certainly looks like it should withstand a heavy downpour. Slightly tight to get on, but once on fits well. Good quality, quite weighty material, solidly constructed. Not tested in rain yet, but my partner has one and it's been perfectly waterproof. 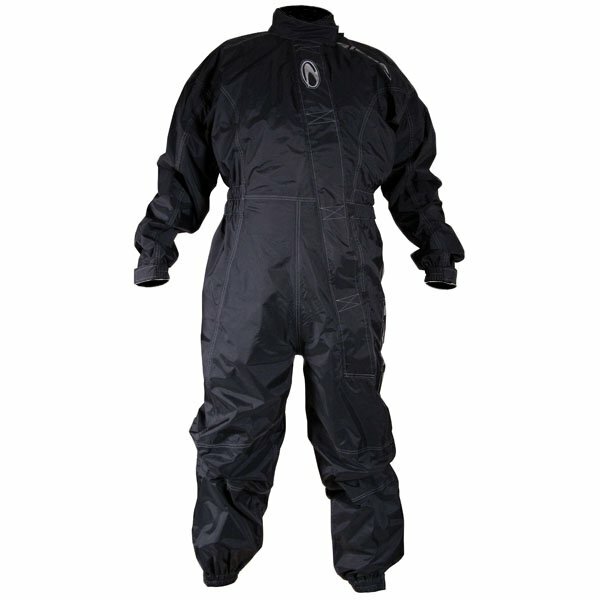 This suit is provided with hook and loop adjustable cuffs and legs. There are also zips fitted to the calf areas, that allows for more adjustment and a better fit over boots etc. What are the measurements of the inside leg & arm on the small please? The armpit to cuff measurement is 21 inches, and the inside leg is 29 inches. Do you need to order one or two sizes bigger than normal to get these over your leathers, I would normally be an XL ( 44") chest. Regards Paul. They are made over size so it you order your normal size you should be OK.